Girls Pint Out 2018 – Peachy Queen – Gose with Peach and Basil Wins! Brewing Update: Packaged! Heading Your Way! 9.12.18 – Done and done. This beer is packaged and heading your way! It is unbelievable. 8.22.18 – GREAT NEWS! We figured out our sour can situation and we are cleared to package. We are blending the beer into one tank and prepping to add basil. The basil addition should happen late this week/early next and we will be getting this puppy packaged soon! CAN NOT WAIT. 7.16.18 – Well, the beer is still tasting great! We can not wait to get the basil in. We had some packaging delays that we are working through and should be back underway in the next couple of weeks. Stay tuned! 6.26.18 – The beer is tasting great! We are hoping to get it packaged in the next month! 5.16.18 – Primary fermentation is almost complete! Now it is time to let the bugs do their work. Fruit is on order and should be here soon! 5.2.18 – Brewing Peachy Queen with the winner from Girls Pint Out was so great! We got to show Keri and a group of Girls Pint Out members how the brewing process works while cracking into a few great beers from Rhode Island and beyond! Such a great day. Now we have to give this baby time to ferment and reach the level of tartness we are looking for.Peaches, basil and coriander will all be added soon! 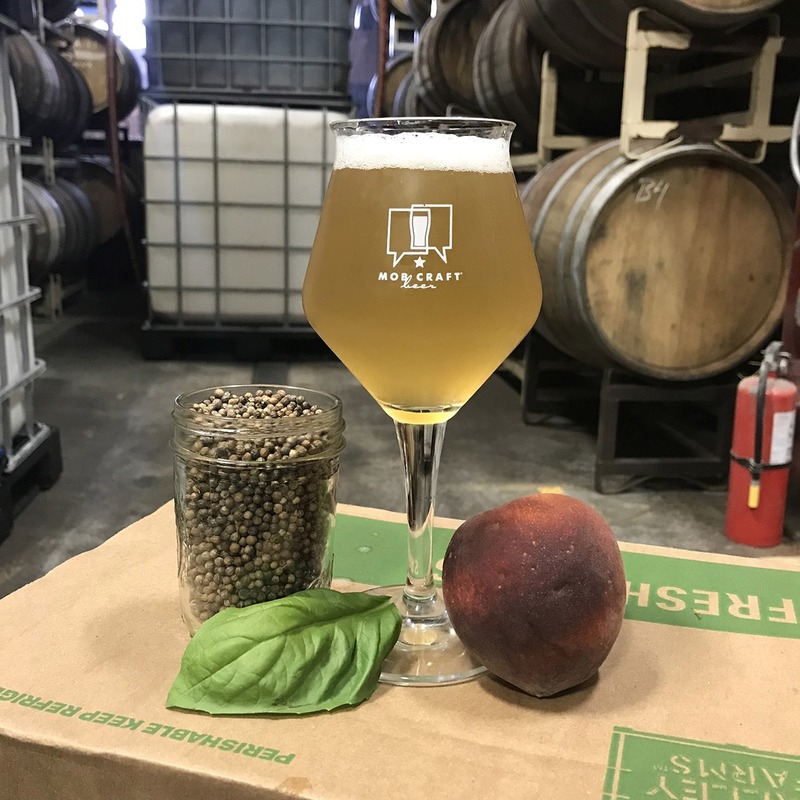 4.26.18 – Every year we brew a beer with Girls Pint Out – an amazing organization that brings awareness to women who love beer – We are thrilled to announce that Keri B. from the Rhode Island Girls Pint Out chapter has won with Peachy Queen – Gose brewed with seasalt blended with peaches and basil. We will be brewing this beer at the end of April! We can not wait! Our specialty beers are typically only brewed once! When they are gone, they are gone! Be sure to order your 4pk, 6pk or 24pk of 12oz cans today!